Bridal Showplace has been bringing Brides and top Wedding Professionals together for 18 years and over 100 amazing bridal shows! 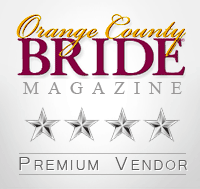 We are also the LARGEST & LONGEST RUNNING bridal show in Long Beach/South Bay. At our shows you will find some of Southern CA most distinguished wedding professionals offering every product and service to make your Dream Wedding a Reality! Preview the latest bridal fashions for the entire bridal party featured in our beautifully choreographed fashion shows. Enter to win thousands of $$$ in Door Prizes. Grooms are special too - at each event we hold a separate "Groom's Only Drawing". Oxygen Channel "Tori and Dean Wedding Planner Show"
the CW Channel "Hitched or Ditched"
WE-TV wedding reality shows "Platinum Weddings" and "Bridezillas"
Most recently we had the honor of promoting "My Fair Wedding's David Tutera" and his latest book "The Big White Book of Weddings" which he donated to several lucky brides at our show. There are many choices for Bridal Shows—but there's only one Bridal Showplace. We hope to see you soon!